A year ago, Si Woo Kim won with a surgical performance at TPC Sawgrass. He only had one bogey over his final 36 holes and won by 3 strokes over Louis Oosthuizen and Ian Poulter. Si Woo had his all around game that week, including being 2nd in strokes gained off the tee and 3rd in strokes gained around the greens. He opened up an early lead on Sunday and coasted to victory. At 21 years old, he was the youngest player to win at TPC Sawgrass. The longtime host for the PLAYERS is TPC Sawgrass, the venerable Pete Dye design. The course revolutionized golf course design upon its opening in 1982. The 1982 PLAYERS led to polarizing opinions from the PGA Tour's best with many calling it gimmicky. One of my favorite articles written last year was from the PGA Tour’s Sean Martin, retelling the ‘82 PLAYERS and the construction of the course. The strategic and well-rounded design produces a wide variety of winners thanks to it allowing for different styles of play. The most valuable skill at Sawgrass is iron play, thanks to the difficult approaches that are regularly presented. The course has been tinkered with over the years, and last year the Tour introduced a new short par-4 12th. The hole received poor reviews from players but still managed to win Golf Digest’s Renovation of the Year. 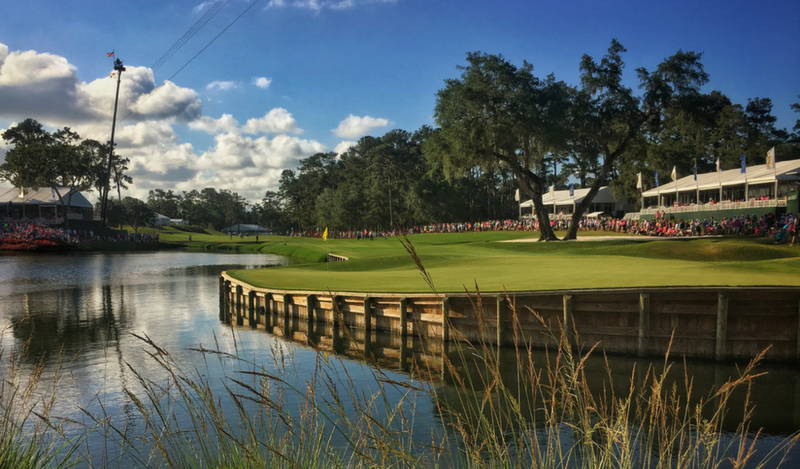 Thanks to a criticism-inspired do-over on the 12th, TPC Sawgrass could reach rarified air as the only course to ever win the “esteemed” award from Digest two years in a row. 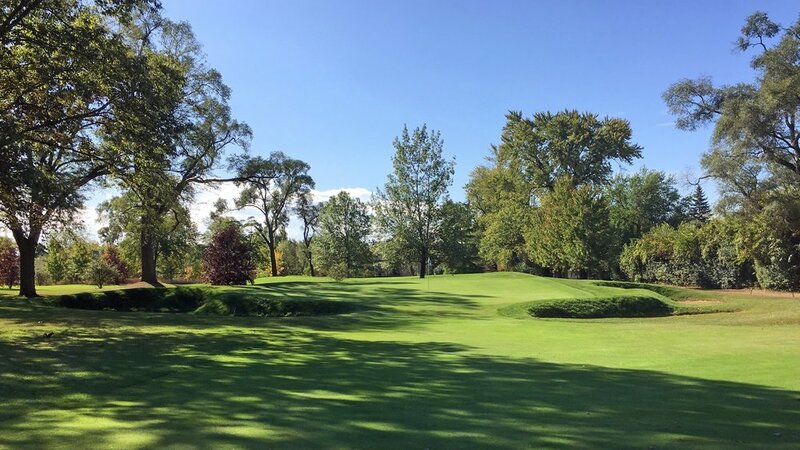 To reiterate, the 12th got redesigned in 2016-2017 and won the 2017 Renovation of the Year, only to renovate the hole again in 2017-2018... exemplary design and reporting. And as for the Tour crumbling from a little player criticism, imagine if Pete Dye decided to change everything after criticism in ‘82. Tiger and Phil will be paired together for the first two rounds (more on that in a minute). It will be only the second and third rounds the two have played together ever at the PLAYERS and their first time playing together since Tiger’s comeback. Phil joked about a possible high-stakes match. Jordan Spieth has a chance to overtake Dustin Johnson as the top-ranked player in the world this week. In order to do so, Spieth will have to buck his trend of three straight missed cuts at the PLAYERS. Given TPC Sawgrass’ demand for approach play and Spieth’s surgical iron play, the streak is puzzling to say the least. With a t12th finish or better, Justin Thomas can also become the world’s top player. I also heard he is friends with Jordan Spieth? 2018 will end the the 11-year run of the May date of the PLAYERS Championship. The schedule reshuffle will move the championship back to its traditional March date. The new date will offer a little cooler temperatures and better conditions for championship golf. The PGA Tour always goes all out with their pairings for The PLAYERS. In honor of Jacksonville’s greatest lyricist, we have named the big pairings after Limp Bizkit songs. Based on his Rocket Mortgage commercials, Rickie probably has no clue how to navigate a W2. Combine that with Tiger and Phil’s gambling comments this week and Rick could find himself in a dangerous game. Spieth and JT can both potentially reach #1 in the world this week. Rory is working on bouncing back from the Masters to regain his otherworldly status. Needless to say, all three of them will have the motivation to beat the piss out of each other this week. Don’t be surprised if headlocks and noogies are thrown around on the tee boxes. The collective clubhead speed in this group is insane. Combine that with Bubba’s propensity to lash out, and we can see some fireworks. Let’s just hope Ted Scott isn’t the stuff that gets broken. Not too much to say here. If you don’t get all hot and bothered looking at this pairing, you don’t know how to live. It’s going to be a sweaty, tantalizing affair and you won’t want to miss it. Be careful watching in the cubicle, this pairing is NSFW. Patrick Reed v. Jon Rahm could very well be a Ryder Cup preview. Hideki has always been somewhat of a silent killer. All three are well known for their on-course antics. Protect the children from club drops and profanity if you’re out following this group. All three of these guys have won at TPC Sawgrass in the past. They’re not here for the camaraderie and circumstance. Get them the trophy, and don’t talk about naming any of their kids “Ponte Vedra”. Making picks can be tough at Sawgrass because of the deep field and tough golf course. Paulie is leaning on players with strong iron play and patience. Check his picks out here. Brendan Porath and Sean Martin are back this week to discuss everything PLAYERS related. Come for the TPC Sawgrass takes, stay for the Bryson love, and prepare yourself for a tension-filled taco debate. Introducing a new series on the website where we zero in on public golf courses that are both architecturally interesting and affordable. For the first edition, check out the best options on a budget in Illinois. Driven, the show about Oklahoma State’s golf team, debuted on Golf Channel this week. Take an insider look into one of the best golf teams in the country. US Open local qualifiers have begun. Notable players who have already qualified for sectionals include Max Homa, Mark Hubbard, Ed Loar, and Wyndham Clark. Bob Ford believes that we will see a golf ball rollback.